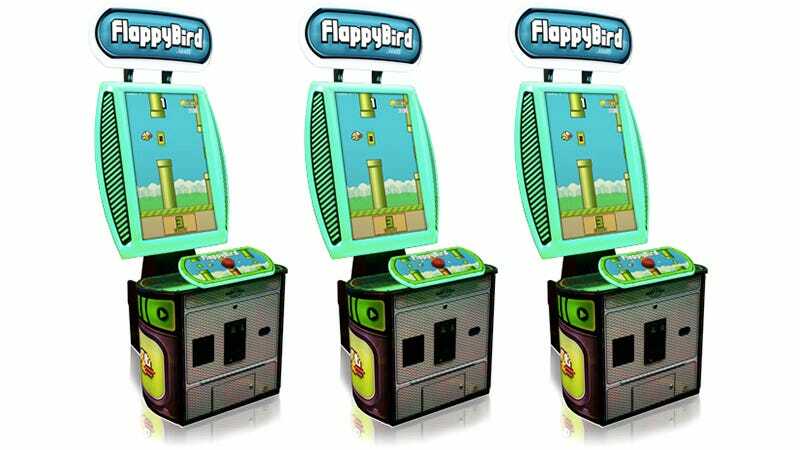 Who Would Ever Feed Quarters Into a Flappy Bird Arcade Machine? Admittedly there is some appeal to playing your favorite smartphone games on a giant 42-inch display, but Flappy Bird isn't the first title to come to mind. Nevertheless, Bay Tek Games is capitalizing on the fading popularity of the game with this full-on arcade machine featuring nothing but a giant single red button for players to push.